When do I need to seek help? Many parents experience that children can be demanding from time to time and that it is hard to enjoy time spent together as a family - daily life is tiring and a lot of time is spent arguing. When this is the case, parents often feel insecure and powerless. 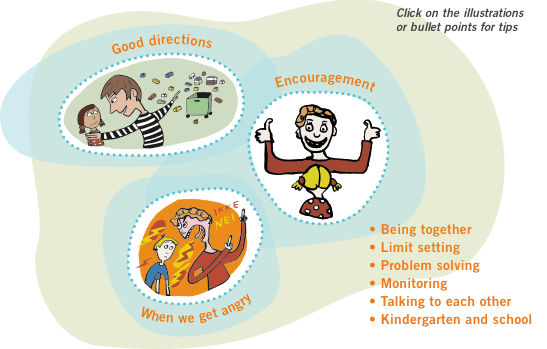 Here, you can find useful tips for parents, read about what characterizes children with behavioral problems, and how you can receive help through public services by the treatment method Parent Management Training – Oregon (PMTO) and the preventative program Early Initiatives for Children at Risk. You can also read about other parents’ experiences with receiving this kind of support, and find out where your nearest service is. Enter your postal code, city or county below to find the PMTO service closest to where you live.